​are particularly hard on the joints - try running on tracks or grass. Nothing feels the impact of your runs like your joints. Compressive forces drive through your joints with every step you take and if you overuse them, they can become inflamed, painful and sore. This can lead to long-term joint disorders if left unchecked. What you can do: Appropriate training is key. Knowing where you stand in terms of ability at the start of your training and progressing accordingly will give you better outcomes not only for your running, but also for your joints. It is also important to be aware of body weight; higher body weight may increase the risk of running injuries. "The right running shoes can help absorb some of the strain on your joints,” suggests Dr Pauline Leong, Head at the Department of Physiotherapy, Sengkang General Hospital (SKH), a member of the SingHealth​ group. “They act as shock absorbers, cushioning some of the impact from your feet as they hit the gr​ound.” So if you plan on running regularly, be prepared to spend more on a quality pair of shoes. You need to change your shoes after about 300-400 miles (approx. 500-650 km) depending on your body weight and running style. Picking the appropriate shoe for your foot type is also important. There is no one shoe that fits all. Your knees and feet will thank you. An additional factor to consider when running is the surface you are training on. Road running and cement surfaces are particularly hard on the joints - try running tracks or on grass. 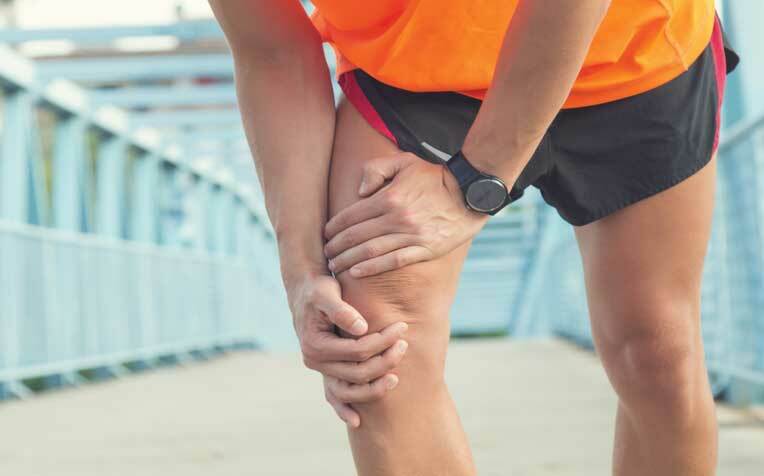 Due to the frequency and stresses placed through their lower limbs, runners may be prone to injuries. Common errors such as overtraining without proper rest and technique can make one more susceptible. Cross training and stretching will help prevent this. See previous page to learn ​why you should not overlook running injuries​.